They’re known for keeping their romance notoriously private. 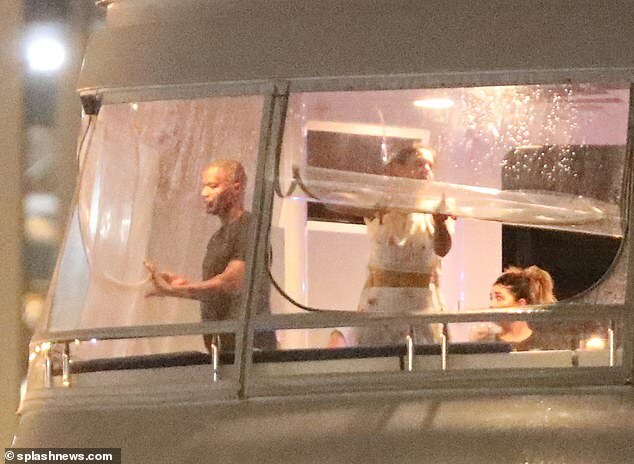 But Katie Holmes and Jamie Foxx were spotted enjoying their time aboard a luxurious liner as they holidayed aboard a luxury yacht in Miami on Friday. The actress, 40, stunned in the first of two outfits as she flashed a glimpse of her abs in a stripey two-piece which she styled with pearl slippers. She covered up with large sunglasses and kept her brunette locks natural in a scraped back bun. The mother-of-one toted her belongings in a black holdall and carried bags containing nightwear from luxury brand Eberjey. 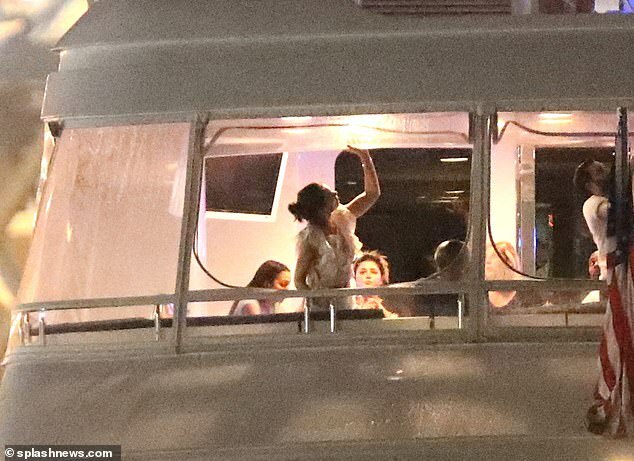 Later in the evening she was spotted with beau Jamie, 51, as the pair worked together to close the window of the $8 million liner. 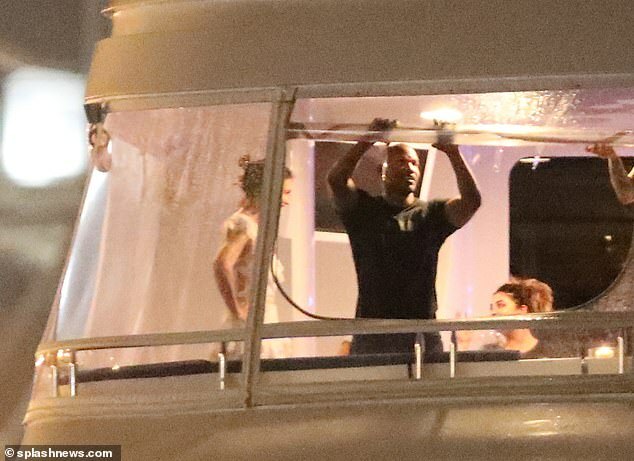 The DJango Unchained star, 51, sported a black t-shirt and jeans as he and Katie were seen waving their hands in the air as they were joined by pals on the luxury liner. While Ocean’s 8 actress Katie slipped into another stunning outfit in the form of a white frilly number. She sported the crop top and matching bottoms to perfection which she teamed with toned-down locks and a dab of makeup. The pair showed off their connection as they expertly maneuvered the opening to protect themselves from the December chill. The cruiser promises up to ten guests a stay in a chamber of complete luxury with a crew of nine to wait on their every need. Earlier Katie soaked up the sun as she donned a black bikini to lounge around with her beau in the Miami heat. ‘Paris is the city where they decided to go public with their romance after years of sneaking around,’ a source told the media outlet. Katie, who split from Tom Cruise back in 2012, is reportedly aiming for a winter wedding. And after the couple say ‘I do,’ Foxx has ever intention of adopting Katie’s daughter Suri, 12, who she shares with ex Tom.